Detained Ukrainian pilot Nadiya Savchenko ‘has arrived in Kyiv’ after being flown home in a prisoner swap with Russia, reports say. She had been captured and put on trial in Russia where she was found guilty of complicity in the deaths of Russian journalists who were killed by artillery while covering the conflict in eastern Ukraine. 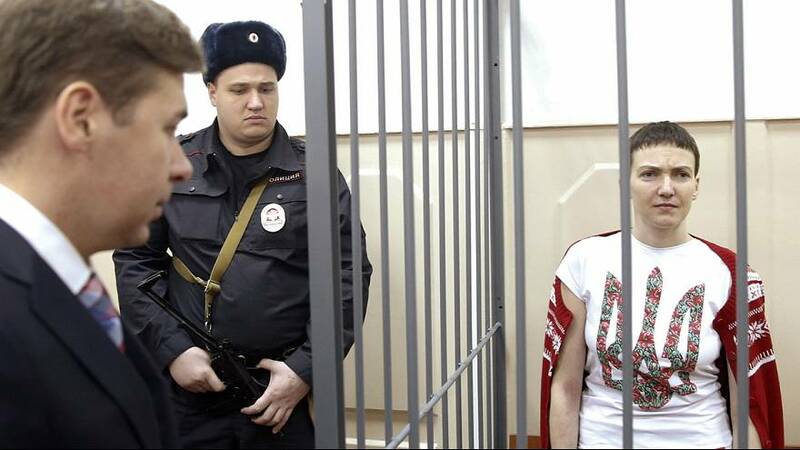 She was jailed for 22 years by a court in southern Russia. Savchenko is now said to have been exchanged for two Russian servicemen convicted of involvement in the conflict in eastern Ukraine. Alexander Alexander Alexandrov and Yevgeny Yerofeyev have reportedly been pardoned by Ukraine and have been flown home to Moscow. The apparent prisoner swap marks a key moment in detente between Russia and Ukraine, and comes a few weeks before the European Union is due to decide on whether to extend sanctions against Moscow. Reports from Ukraine say Savchenko is due to travel to the presidential palace in Kyiv where Petro Poroshenko is then due to make a statement.